Mix the mince with the chopped onions, coriander leaves / parsley, chillie powder, pepper powder, salt and bread crumbs and set aside for one hour. Squeeze out all the water. Divide into equal size portions then roll into balls. 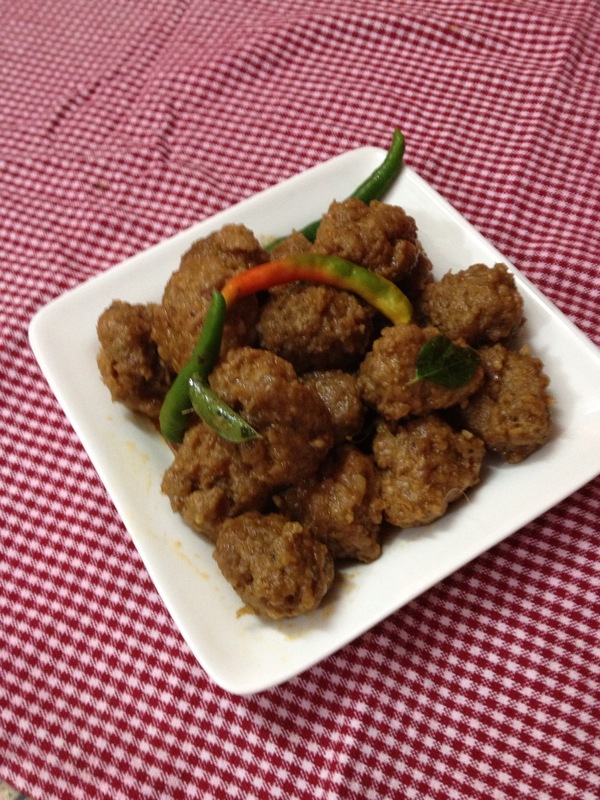 Heat oil in a nonstick pan and fry the meat balls gently till they are brown. Remove and keep aside. In the same oil add a few curry leaves, 2 tablespoons of flour, 1 teaspoon pepper powder, a pinch of salt and 2 tablespoons tomato sauce and mix well. Add 1 cup of water and bring to boil. Add the fried meat balls and shake the pan gently so that the gravy covers all of them. Simmer on low heat for about 20 minutes till the meat balls are firm and the gravy dries up. Keep frying gently till the balls are fried to a golden brown. 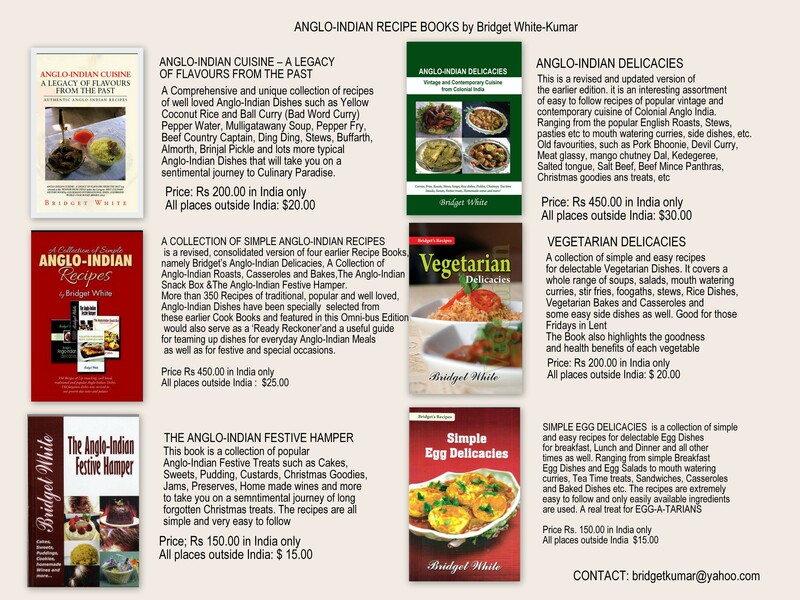 Serve as a Starter or a side dish with Pepper Water and White Steamed rice. 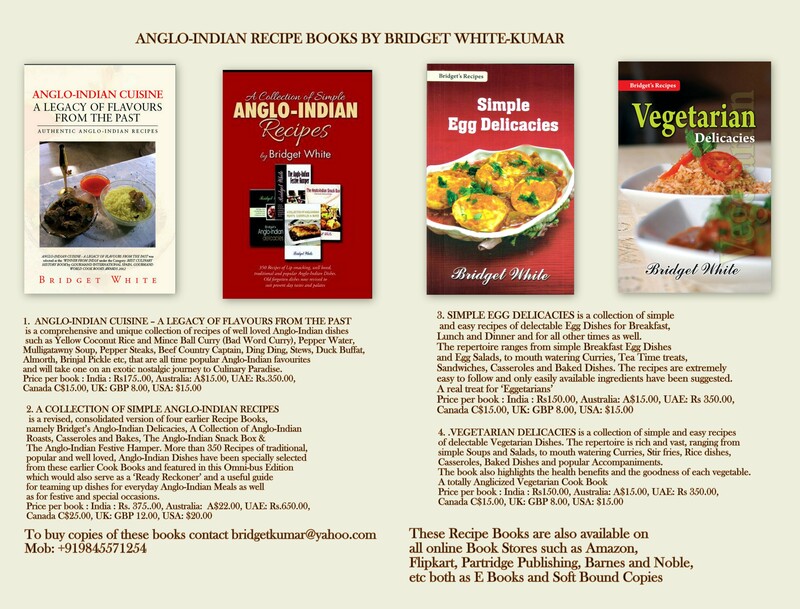 Posted on September 18, 2013 by Bridget White-KumarPosted in Anglo-Indian Cuisine - Aegacy of Flavours from the Past, Anglo-Indian Recipes, meat, meat curryTagged Devilled Beef Mince Balls.